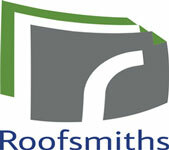 With over 35 years experience as a Roofing Contractor specialising in Flat Roofing, Roofsmiths is a family run business based in Bournemouth, Dorset that prides itself on offering an extensive range of roofing services to the South of England. Our staff are fully trained and we carry out work for domestic and commercial customers including a varied range of contract sizes. We look forward to hearing from you and quoting for your roofing needs.